1937. "The property tax in 2017 was $1,924." Sounds like a bargain to me . . . Spent some time there Saturday, as did Richard Neutra's son Raymond, and grandson, and a gaggle of architects photographing and appreciating. It is a truly wonderful, happy space. Very compact in terms of square feet, but expansive in terms of openness. Original Neutra colored pencil renderings hanging on wall. It needs work to bring it back to AAA condition, but fortunately, it is in very original shape. Hopefully it will be purchased by someone who appreciates the design and has the resources and inclination to restore it. Yes California property taxes are crazy...Taxes were limited by 1978's Proposition 13, which caps taxes at 1% of Assessed Value, plus the odd direct charges such as bond retirement and parcel taxes. The tax is so low because it is based on the 1977 Assessed Value. 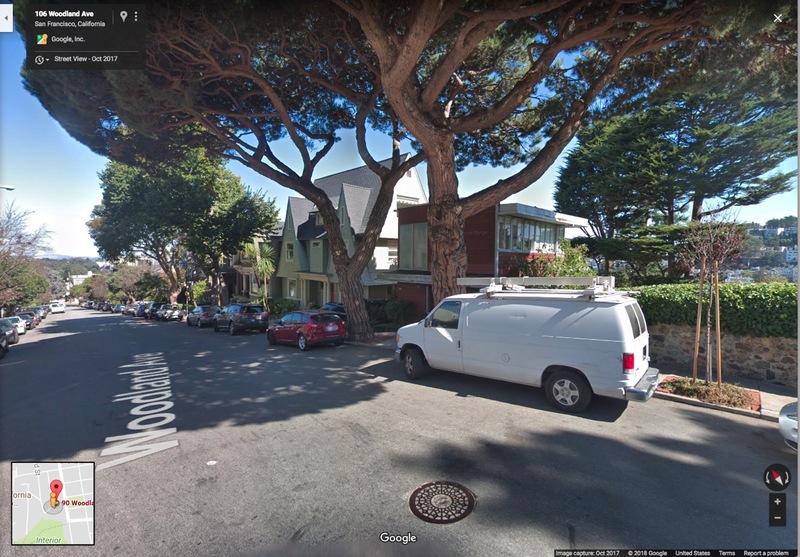 If sold at $2.2M, the 2018-2019 tax will be the sale price (which by definition is the assessed value in the year of purchase) x 1.1880 %. So first year's tax will be $26,136 (less a few hundred dollars homeowners' deduction if the house is the purchaser's primary residence, plus maybe a thousand or two in direct charges). After that, it only goes up very slowly. Thanks, Duncan. So, it's actually meaningless for the realtor to quote the current tax number . . .
sometimes disappear unexpectedly (albeit not before neighborhood and resident notification of impending removal ). Prop. 13 keeps the property tax low as the house value rises. It also destroyed the California public schools which were #1 ranked before 13 was instated in the 70s. The new property tax will be based on the next sales price. 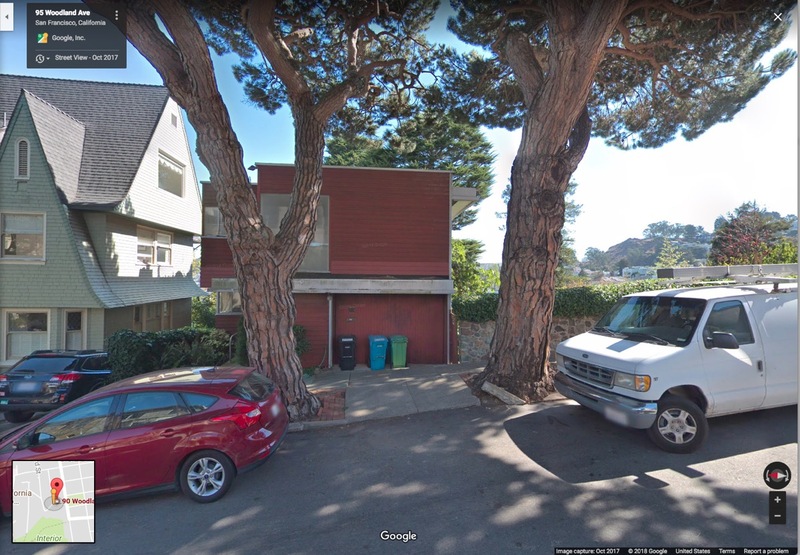 The two Italian Stone Pine are quite marvelous, and somewhat "exotic" in terms of both species and size for San Francisco. They are both rated "good" condition by the City. They have been wired together for strength. That being said, if the house were mine I would take off some large branches hanging over the house. Its only a matter of time. They have also wreaked havoc with the sidewalk and curb and even the street paving, which will be an ongoing problem. But when all is said and done, they are still marvelous. 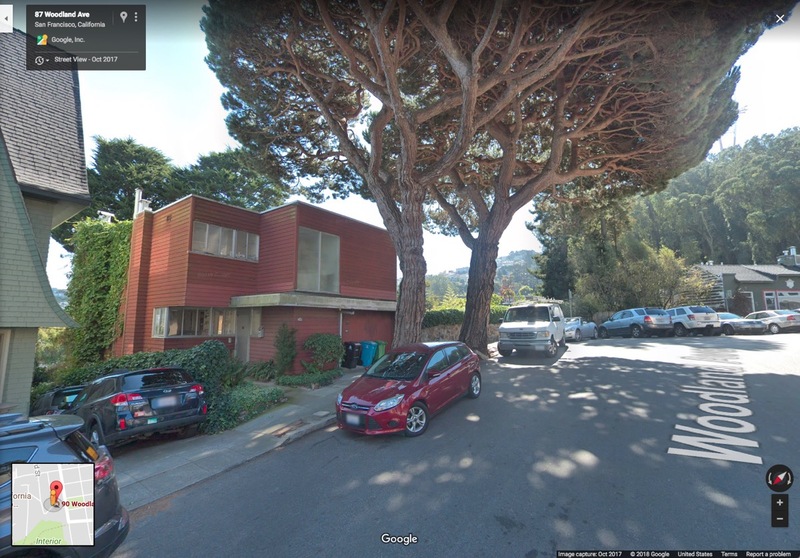 If the trees were planted by the original owners of the house, as seems likely, they are only about 80 years old, which, pine-wise, is not old at all. Duncan, are you sure they are Italian Stone Pines? That does seem out of place. To me, they look more like Pinyon Pines. I have no idea - I am not a horticulturist but merely repeating info from the City's tree inventory. I can't vouch for its accuracy. I'd vouch for them being Italian Stone Pines, they're not a native species from the region but people ordering designer houses and then importing rare plants isn't something that's unheard of. Sales chasing. That's illegal in my state. Response edited, I messed up the quoteback. Check it now. Pardon my ignorance, but I’m unfamiliar with the term “sales chasing”. Could you elaborate? Sales chasing is assessing the property tax based on the most recent sale price. At least in my state, ad valorem property tax is based on the square feet, structural elements, land value, yd imps and depreciation. i.e. calculated from first principles, not just copied from the sale price.